MAKE YOUR DREAM GAME FAST! 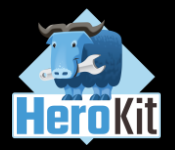 In minutes, build heroes, enemies, NPCs, items, loot drops, equipment, cutscenes, and ANYTHING else you need. And do it with or without coding in the powerful Unity game engine. FUN FEATURES • Hundreds of actions (full list here). • Give objects AI. • Save and load system. • Inventory and Journal system. • Dialog system (branches, portraits, etc). TECH FEATURES • Local, global, and group variables. • Conditions for states, events, actions. • Events for collisions, triggers, input, more. • Localize text and audio. ✔️ Tutorials: We have lots of them. ✔️ Actions: Check out our huge list. ✔️ Community: It's busy. ✔️ Roadmap: See what's coming next. Unlock memories from the past and solve intricate puzzles to break the webs of a curse. Explore a magical world beyond your imagination that has been waiting for you to save it. 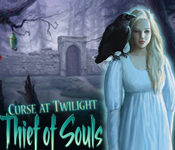 Experience Curse at Twilight: Thief of Souls, a stunning Hidden Object Puzzle Adventure game! • Seven lands to explore + seven chapters of fun! • Save a hauntingly magical world • Collect map pieces to travel quickly • Discover your destiny Get the Strategy Guide! You are hired by a monk to break a curse on a haunted tower deep within the wilderness. To solve the mystery of the cursed tower, you must navigate a strange maze full of traps and puzzles. Upon your adventure, you will meet strange beings, most who wish to do you harm, and a few who wish to help you succeed on your quest.Finding the tower is only the beginning. Once you break the curse, you discover a secret that puts everyone you love in jeopardy. 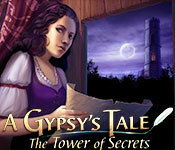 Are you clever enough to outsmart the Tower of Secrets and save all that you love? Need some help? Check out the official Strategy Guide!